Loan amount: $25,000 to $500,000. Loan term: One to five years. Funding time: Average of 10 days. Make sure your credit score is in the right range before you apply. Funding Circle is a peer-to-peer business lender that acts like a matchmaker, connecting small businesses with investors that can help with financing. Are looking to grow a business or refinance costly debt: You can qualify for up to $500,000. Have good credit and established businesses: Though the company doesn’t have a minimum annual revenue requirement, you do need to be in business at least two years and have a credit score of 620. Are looking for fast cash: Funding Circle’s application process is quicker and easier than the process to qualify for an SBA loan, and you can be funded in as little as 10 days. Faster processing than banks and the SBA: It can take just 10 minutes to apply for a Funding Circle loan, and you could receive funds within 10 days. Compare that with the months it sometimes takes to be approved for an SBA loan, which entails a review process that many small-business owners find intimidating and frustratingly slow. Low rates compared with other online lenders: It would be tough to beat the low interest rates on SBA loans, which are typically in the mid- to high single digits. But Funding Circle’s terms may be a manageable alternative; its annual percentage rate, or APR, ranges from 10.91% to 35.5%. No prepayment penalty: Although businesses typically use Funding Circle financing for expansion, you could also get a six-month loan to deal with a short-term need, such as a temporary cash-flow crunch. Here’s even better news: There’s no prepayment penalty. Higher qualification standards: Funding Circle no longer requires a minimum annual revenue, but the lender has other criteria that are stricter than those of competitors. 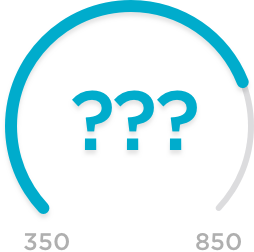 Take the personal credit score requirement: You need at least 620 to qualify for a Funding Circle loan, while some other online lenders require a minimum of 500. The company says the average credit score of its funded borrowers is 700. Funding Circle’s requirements aren’t as extensive as the SBA’s, but you’ll need to produce documentation showing a solid business operation. Fast, but not the fastest, option: Although Funding Circle is a faster option than a traditional bank, its 10-day approval time frame may be too long if you’re facing an immediate cash crunch. Consider other online lenders if you’re looking for immediate cash.